Lazauskas wrote this on the plane to Texas, but if we’re being honest, he had been writing it in his head for the last five years. Marketing is full of clichés; South By is full of clichés. The fact that marketers have swarmed the festival makes for an unholy marriage that birthed meaningless words used ad nauseam. This article will make you laugh, cry, and want to put an end to the term “brand evangelist” for good. Read it. In New York City, a few floors above Chelsea Market, YouTube now offers content creators with more than 5,000 subscribers access to top-notch equipment, expertise, and sets—for free. If you’ve ever been curious what a film school opened by a tech company would look like, well, this is for you. And in the middle of it all is Google’s BrandLab, where companies come in to learn about how to take advantage of digital video. With video set to dominate content consumption in the next decade, YouTube’s studio spaces could lead to better quality clips over time. And for brands struggling to move past the traditional TV commercial, tapping that talent to produce innovative content will become incredibly important. Read it. Meerkat, the live-streaming video app that integrates with Twitter, has generated a ton of recent hype. But is it just another social media flavor of the week? Aaron Taube breaks down why Meerkat, or an app like it, has the potential to succeed—as long as it figures out how to simplify its platform for people who aren’t Twitter experts. Read it. The second installment in our Ultimate Content Strategist Playbook is an essential primer for marketers looking to refine their creative efforts. Many brands want to come out firing with content from day one, but as Lazauskas explains, those that become successful publishers take a step back and analyze the audience they’re trying to reach. 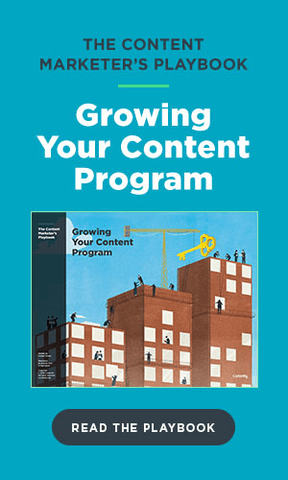 Before you hit publish, check out this e-book to get a better understanding of the importance of self-evaluation and planning. Read it. The three letters most marketers obsess over: ROI. How can we prove that our publishing efforts lead to tangible business results? There’s no perfect answer yet, but here at Contently, we’re always working on finding a better one. Richard Sharp, our head of product and customer marketing, takes a close look at how content marketing platforms can make all the difference for driving ROI by simplifying work approvals, content measurement, and access to talent. Read it. Enjoy the weekend. But before you do, read this Onion article about SXSW tropes; it sums up everything perfectly.